This is one of the most important of many questions parents ask when beginning their search for homes for sale near West Ranch High School in Valencia CA. It is both disappointing, and a waste of precious time if you find homes for sale you love near West Ranch High School, and believe that your child can attend, only to find out it is not within the schools attendance boundaries. Look without wasting your time. All homes for sale near West Ranch High School (link to page on web site). 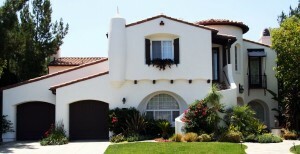 Page is constantly updated and includes homes in areas of Valencia CA and Stevenson Ranch CA. West Ranch High School has recently been rated by Newsweek as number 521 out of the top 2000 public high schools. About 30,000 public high schools exist in the United States which means the school is in the top 1.8%. If you own a home near West Ranch High School, classes for advanced placement, and classes for the gifted and talented are offered to your children. In addition, vocation/technical programs and special education programs are also available at this school.